This undated photograph was used as a resource during reconstruction of the summer kitchen. There were two existing stories above a cellar. The chimney on the north end of the building was constructed entirely of brick, was not keyed into the wall and originally had a curved chimney cap. The bricks were likely handmade on the site. The summer kitchen as it looks today with the remodeled upper stories and new chimney. The cellar level is the kitchen original to the building, while the upper two floors house museum offices and weaving exhibits. 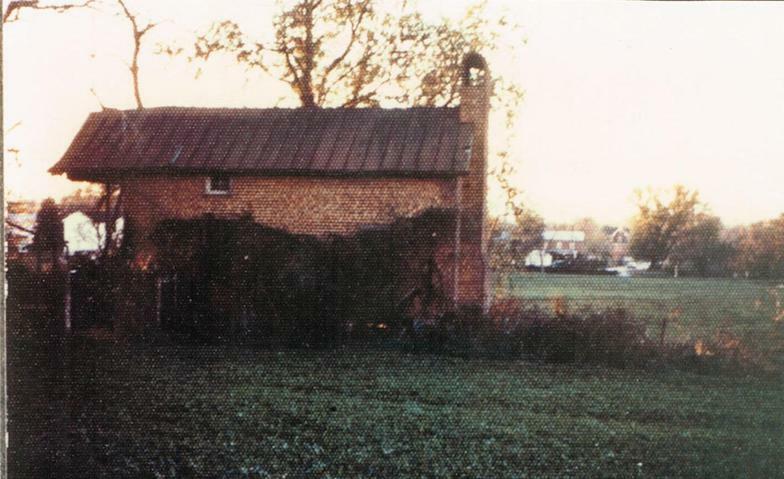 The Fort Harrison Summer Kitchen is the only remaining original outbuilding on the site. 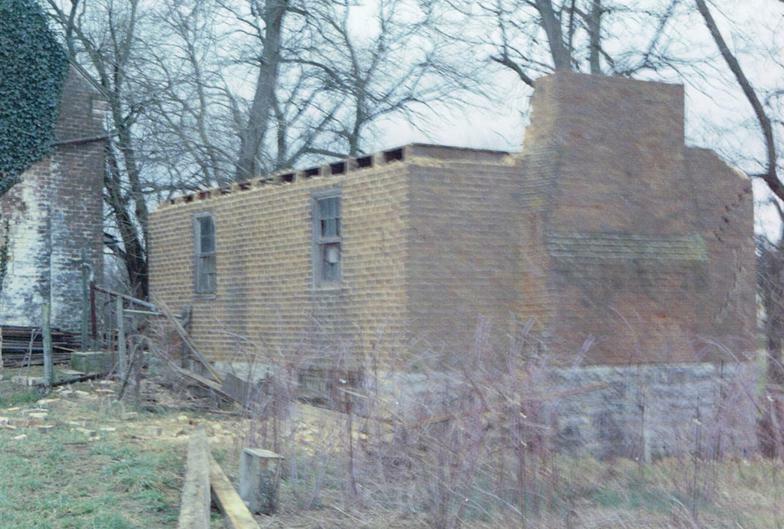 The structure was partially dismantled in the 1960's for use as a storage shed. 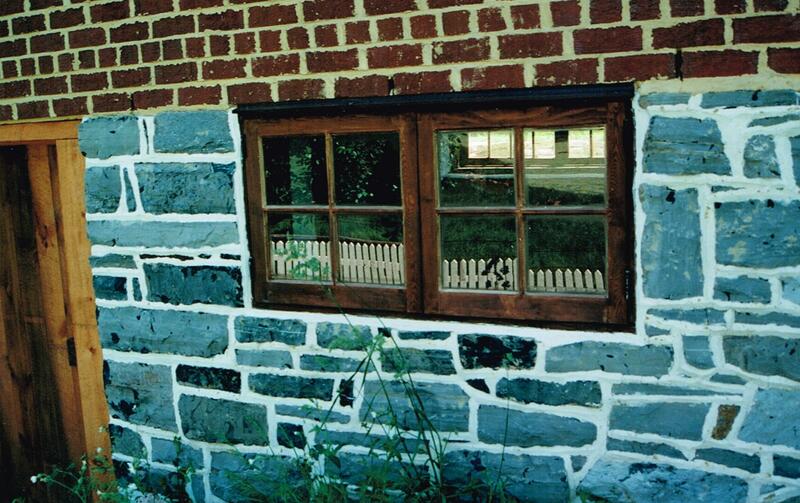 The original foundation made of field stone still remains and extends to the top of the cellar window frames. 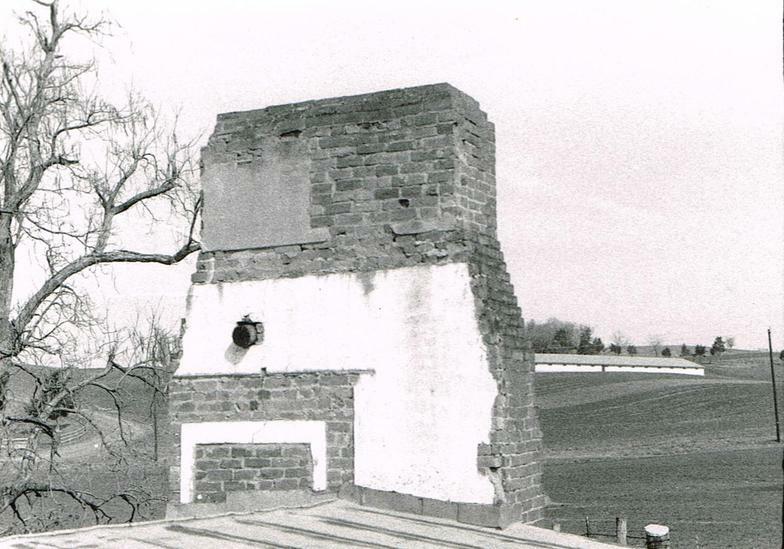 This photograph shows the summer kitchen chimney from the south side. Notice the mantel and second story fireplace details on the interior brick chimney wall. Bricks used in the chimney are handmade and were likely made on the property. Summer kitchen - cellar door located on the northwest wall leading into the kitchen area. The north wall has a six foot wide cooking hearth, complete with a wooden mantle. The interior of this floor has two rooms, divided by a brick wall. The floor in both rooms is brick, likely original to the building. 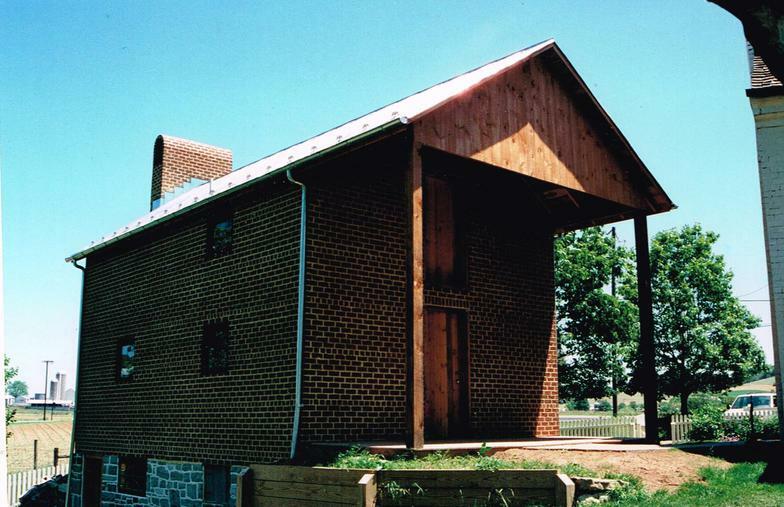 In the past, the upper floors of the summer kitchen served as a utility building. 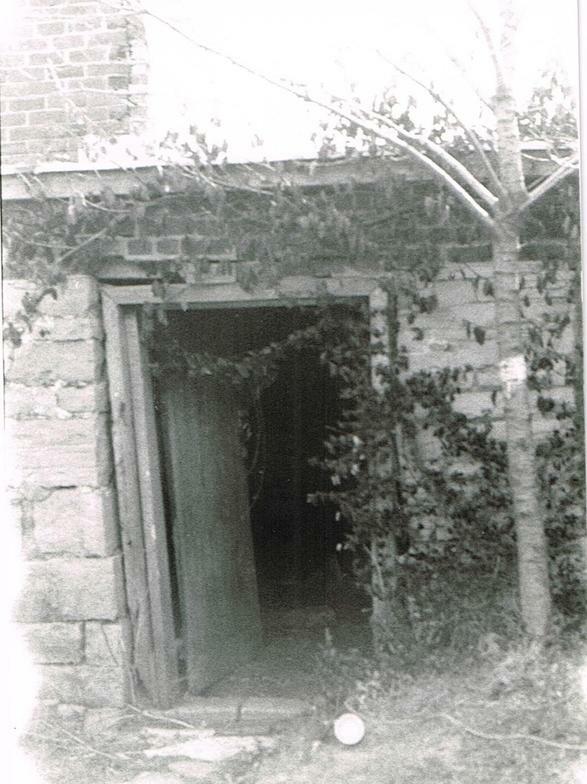 Many domestic chores such as weaving, spinning, processing flax, soap and candle making could have been done in this building, which also served as a storage area. Windows and doorway to the cellar level of the summer kitchen. Foundation of field stone is original. 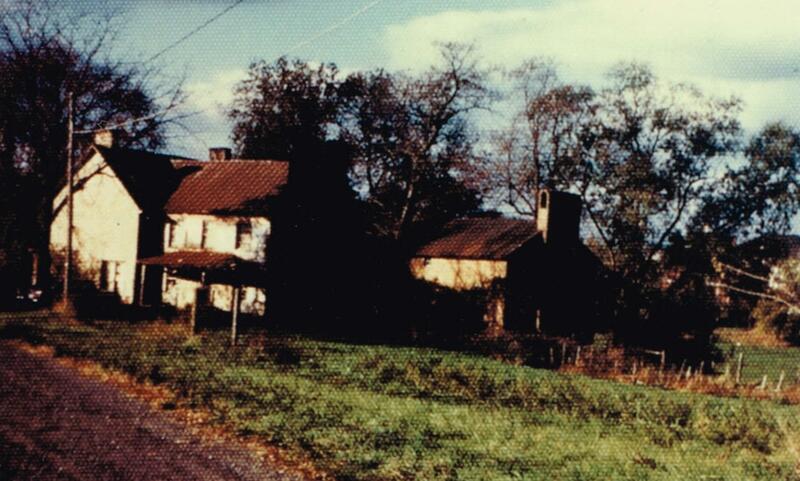 ​ This photograph, likely taken during the Burtner family ownership, shows another view of the summer kitchen. 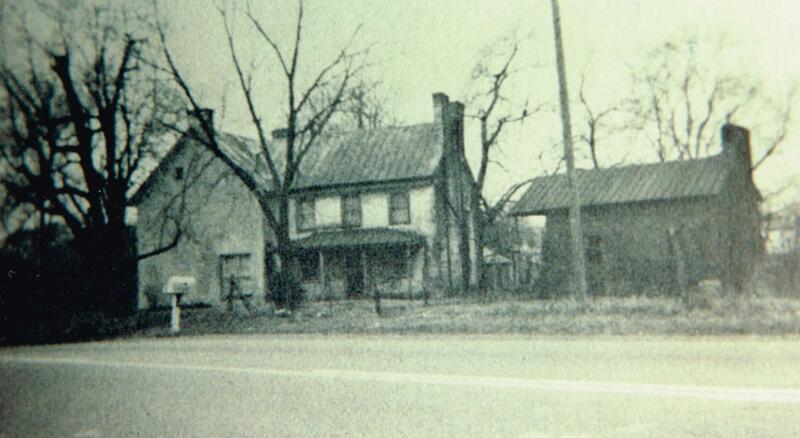 Notice the curved chimney cap and the extended porch roof. Another view of the summer kitchen from the northeast.